iM2 2+” UV Curable print solutions driven be the robust iDataPrint™ Controller and Layout Designer software. 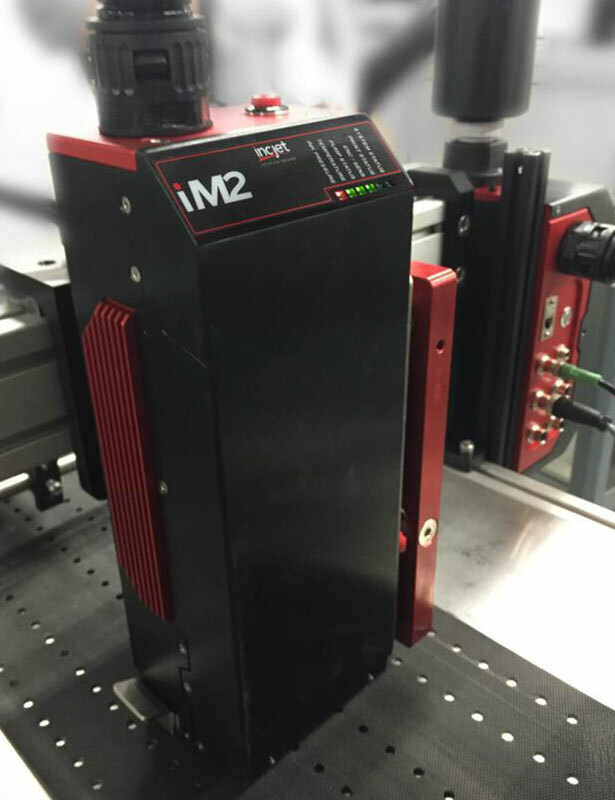 The high resolution iM2 printer provides a versatile, cost-effective solution to meet the need for variable data printing on a range of coated and uncoated substrates. Capable of printing addresses, barcodes, 2D codes, QR codes, numbering, logos and graphics, the iM2 is suitable for mailing and addressing applications, as well as labels, tickets, security, plastic cards and business form applications. 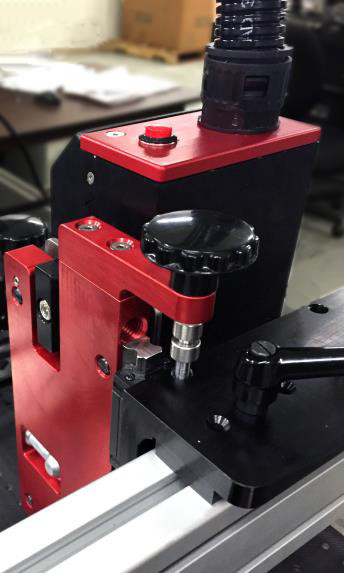 The very small footprint and modular design of the iM2 means that it is easily and quickly integrated into mailing or card lines as well as web printing applications. The iM2 produces incredibly sharp images, with three drop sizes available. For all your graphics and mail applications the iM2 is capable of ultra-fast speeds to meet your productivity goals. Startup - Print ready can be achieved within five minutes, and job changeover is possible within seconds. Simplicity is key to the iM2 design. 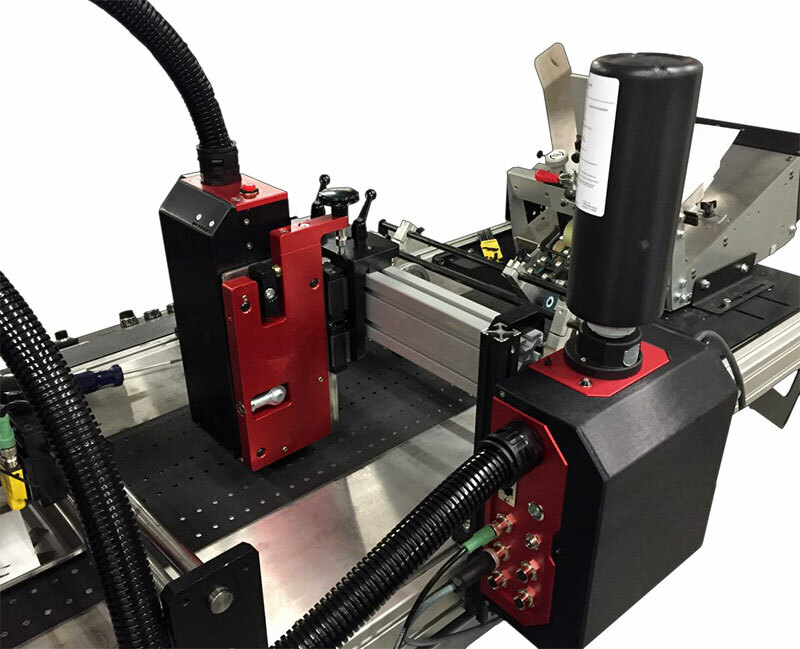 With all of the critical components are housed within the printhead and ink delivery modules; the complexity of the installation has been greatly reduced. The Ricoh Gen5, 2.1” printhead delivers ultra-sharp/high quality print. 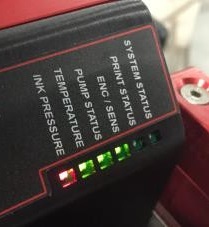 The iM2 print system is driven by the robust iDataPrint™ Controller and Layout Designer software. Document Data Solutions created our advanced proprietary software to give our customers greater printing capabilities than our competition. iDataPrint™ Print Controller is a Windows™ application that loads print jobs created in iDataPrint™ Layout Designer and manages the inkjet printing system. Our in-house team of software programmers keeps our software products up to date and we are continuously adding new features. Print Mode Options – Read-and-Print dynamic printing, sequential printing and repeated sequential printing as well as fixed printing for both graphics and text. Read and Print option – Communicates with DDS’ iDataScan™ for Read & Print solutions enabling seamless integration. The included iDataPrint™ Layout Designer software is as powerful as it is easy to learn and operate. Layout Designer allows users to create and save of print jobs share resources through your centralized network database.